Flexible and affordable transportation services in Jamnagar- Just a call away! Have you tried many transporters earlier but, not satisfied with their services? Are you looking for a reliable and affordable transport company in Jamnagar? Do you want a long-term transportation partner to handle your warehouse needs? 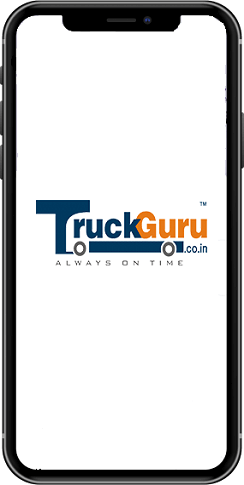 If yes, TruckGuru would be your right choice. We are the market leader in the transport and logistics industry and since our establishment, we have served numerous clients across India. We believe that timely and safe delivery is the key to success of any transport company, thus, as the most renowned and professional transporter in Jamnagar, we are helping our clients to fulfill their relocation and transportation needs. To improve our transportation services and facilitate the easy online truck booking, we have introduced an app. 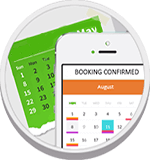 By using this app our clients can get the best rates, route information and book the truck in just a click. We ensure that the cargo is safely and quickly moved from the Civil Enclave Airport Jamnagar to the storage points or receivers within the city or outside the city, with minimum or no transit leakage during moving from airport premises to storage points. At Bassav Nagar, GIDC Phase III, GIDC Phase II, Udyognagar, and Hapa Industrial Estate in Jamnagar, TruckGuru provides secure and flexible warehousing facilities to receive and store the consignment. Our team is our biggest asset, without their dedication and hard work, we couldn’t have received the tag of Jamnagar’s best transport company. Our experts work 24/7 to make sure that your shipment reaches Sikka Port and Bedi Port or any other destination on time. We have a reputation for being the most cost-effective trucking company in Jamnagar due to our association with leading global transporters. Customer satisfaction is our topmost priority; thus, we work hard to match their transport needs and demands.